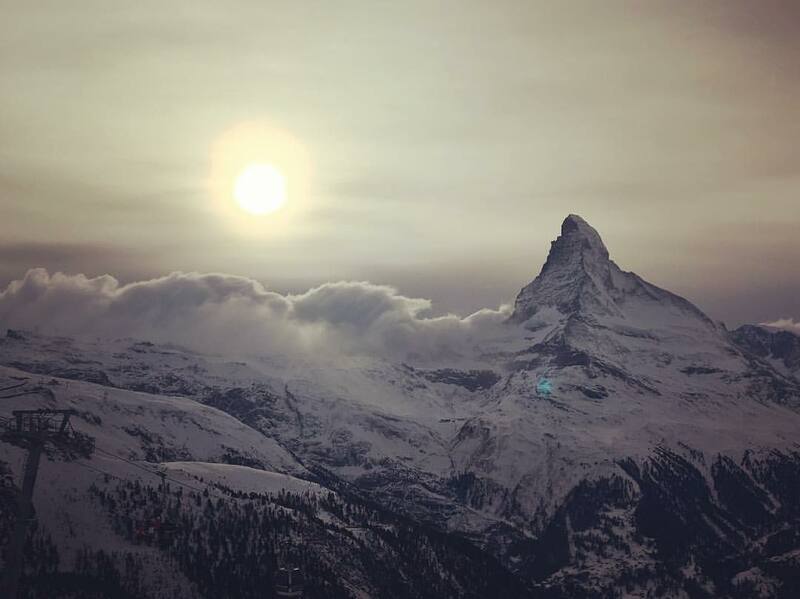 Zermatt made headlines more than usual during the past weeks with heavy snowfall cutting off to the village briefly. Whilst it all sounded very dramatic, this happens normally once a season. And the fact that there is only one road and train line in and out of the village. For the vast majority of those “stuck” in the village, people relaxed in the spa or visited the local cafes. Meanwhile a few travellers took the helicopter option to Täsch if they had to return to the real world sooner. 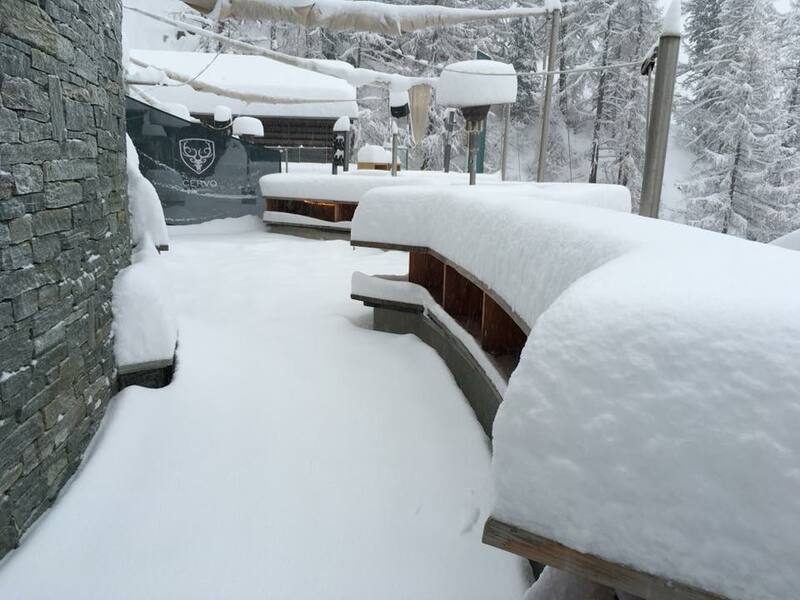 Apres-ski at Cervo might take a while to get going this afternoon! There is a little more snow forecast for this week, and we’re looking forward to some clearer weather from Tuesday. The temperatures have been hovering around zero which is very pleasant in comparison to the usual -15c! Fresh snowfall always comes with the need to start dusting off the fat skis and looking outside of the piste markers for some lovely off-piste powder skiing. After a few days it becomes tracked out and you start looking further and further for lines. Therefore consider if you really know what you are doing. Have you got an avalanche pack for example? Do you know how to use, and have practiced recently your transceiver searches? Some of the best areas to ski off piste are at lower altitude, and often just off the sides of the pistes. The yellow runs are opening every day and provide some fabulous skiing in a safer environment. Yellow runs are essentially controlled ‘off-piste’ runs so are perfect in the current conditions when we have fresh snow but some unstable layers that make being off the beaten track riskier. They are blasted and patrolled so you don’t need specialist off-piste insurance either. Italians definitely prefer the groomed pistes to the powder so heading over to Italy is generally a pretty good shout if you are chasing the pow. Look to head low down below the tree line in Cervinia and Valtournenche with a guide. And never, ever ski off-piste on a glacier. The reason is that the fresh snow often hides huge crevasses and it doesn’t take much to uncover them. Even if there are a few tracks going over them it can go at any time – not a risk worth taking. If the pistes are more your thing then the recent snowfall is just as good news for you too. The snow at the moment is amazing; grippy hero snow that you dream of when booking your holiday. Get up early and enjoy quiet runs on any part of the mountain; Sunnegga has just as much to offer as Riffelberg or Klein Matterhorn. Pop over the border into Italy on the Bontadini side for an early lunch and then come back early to enjoy Swiss slopes whilst everyone else is eating. We recommend trying Les Clochards; it’s a bit lower down in Italy and off the beaten track but has some fantastic food and a fabulous view.